Every New Year, I try my best to begin the year living a healthier lifestyle. Last year, after giving birth to my third daughter, I decided, it's really time to start taking my New Year, New Me more serious. It's not always easy and cravings definitely seem to sneak up on me. Finding a way to satisfy my cravings was challenging. Until I met my new favorite treat, Breyer's delights Cookies and Cream! It's guiltless ice cream at it's best! No more giving up on my healthier lifestyle and my cravings are taken care of. Personally, the one thing I can't do when it comes to starting a healthier lifestyle is restricting myself completely from sweets. I usually end up giving up. But not this time. I no longer have to feel horrible afterwards. Because guess what? Sometimes you really do need to treat yourself. And that's okay. Breyer's delights Cookies and Cream is a reduced-fat ice cream with an amazing cookies and cream taste. It's actually one of my favorite flavors from the Breyer's delights available! And, just because Breyer's delights is a reduced-fat ice cream, doesn't mean it's lacking in any other way! Breyer's delights are made with high quality ingredients including fresh cream and all american dairy. All Breyer's delights have between 260-330 calories per pint and 20 grams of protein! That's half the calories, twice the protein, and 20-40% less fat than comparable Breyer's ice cream flavors. Yummm. 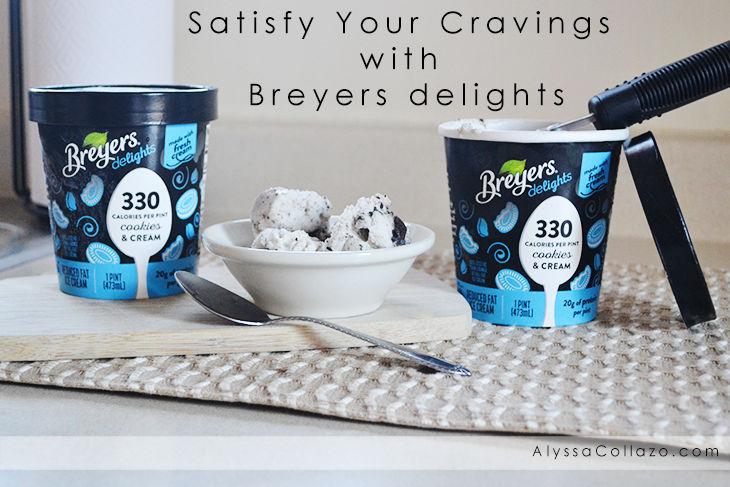 You should really taste Breyer's delights for yourself. Breyer's delights Cookies and Cream can be found at your local BJ's Wholesale store, sold in a pack of 4 pints with the frozen desserts. What are you waiting for? Try this delicious, guilt-free ice cream today, while living a healthier lifestyle! It sure is okay to treat yourself! I find when we restrict ourselves from things we enjoy entirely we end up giving up! We have to let a little light in! Also, like with this Bryers Delights it really isn't bad for you if eaten in moderation! Ice cream is my weakness. I love it. I've not seen this brand at my store. I will look for it. That looks delicious! I agree that as a Mom you need to occasionally cave into your cravings it you are sure to survive. Finding a solution that is healthier is amazing! My kids and my husband LOVE cookies and crème! I bet they won't notice if I switched out their regular brand! 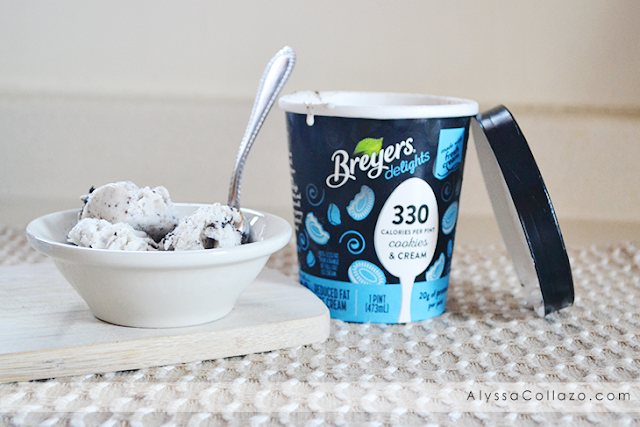 Breyers ice cream is always so creamy and rich in flavour. It is one of my go-to ice creams. They also have a wide range of flavours at my local grocery store. When I make milkshakes I usually use their product. 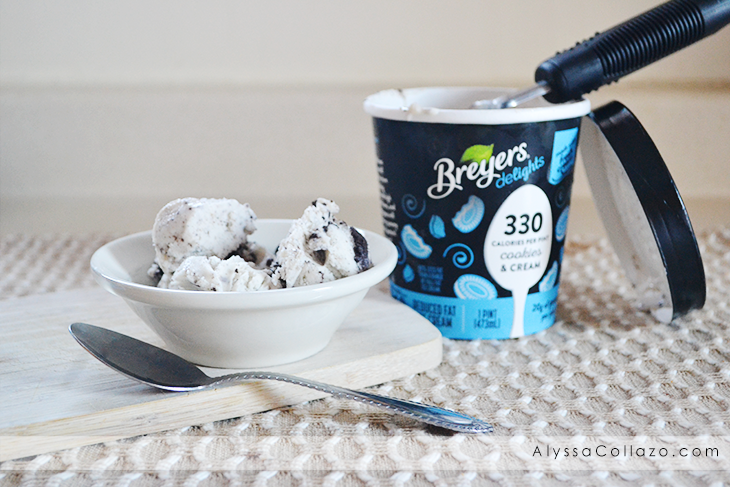 I love Breyers, it's been a staple in my home since I was a child. I need to find this need variety and give it a try! I enjoy ice cream all year long LOL! I'm not an ice cream gal I may have some once a month. When I do like to enjoy ice cream from time to time Breyers is my number one go to brand! 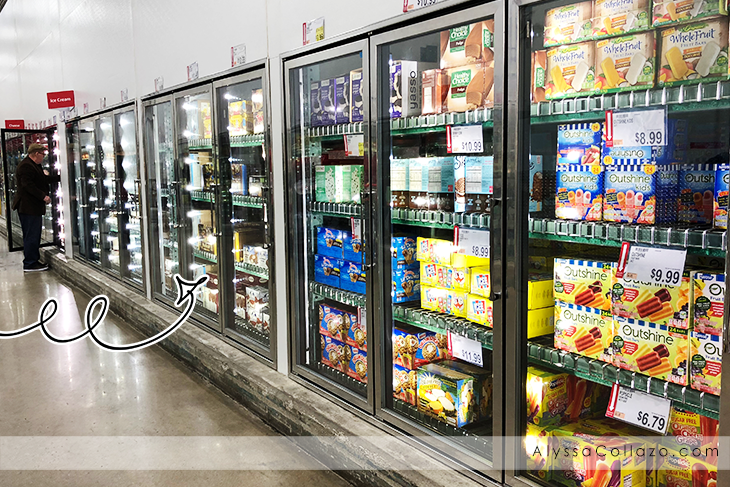 The kids love Breyers Delight I try to grab some every time I go to Kroger's! I need to give this a try. I love ice cream - I eat it in 100 degree weather and 0 degree weather! YUM! I will have to pick some up the next time I am at the store. Looks delicious. Love Breyers and I had no idea they had a lower calorie ice cream! Cookies and cream is my favorite and I will definitely be picking this up soon.